As mentioned earlier, it’s gonna be a tough match for the Philippines team in the Open section (Seed No. 53), as they face the team of the World Champion, Magnus Carlsen, Norway (Seed No. 12), in Round 6 of Baku 2016 Chess Olympiad. Way to go, team Philippines!!!! square ang board, kaya yan! A draw for sadorra is a big win. 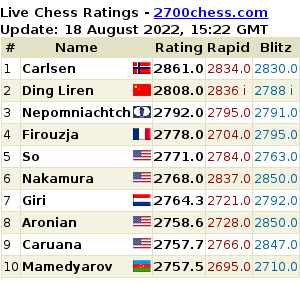 Congrats still to GM Sadorra even though it’s a draw vs world champion Magnus Carlsen! Keep it up! Try to follow the 64 commandments of Chess then the next Round 7 the Philippine Chess Team will succumb their opponents.